A bad leader can take good staff and destroy them, causing the best employees to flee and others to lose any form of motivations. It is also sacrosanct to understand that a shady business never yields a sunny life but will, in turn, create very poor followers. If these rules are even broken, the seventh corporate law must not be broken, but in Diamond Bank, it has been shattered again and again. With Nigeria’s banking sector evolving daily, the Managing Director of Diamond bank, Mr Uzoma Dozie seems to be unaware that continuous success in management requires constant learning as the world is a fast evolving system probably because of his pride which has in no small way brought the once thriving Diamond bank to ruins when compared to other banks in the world. 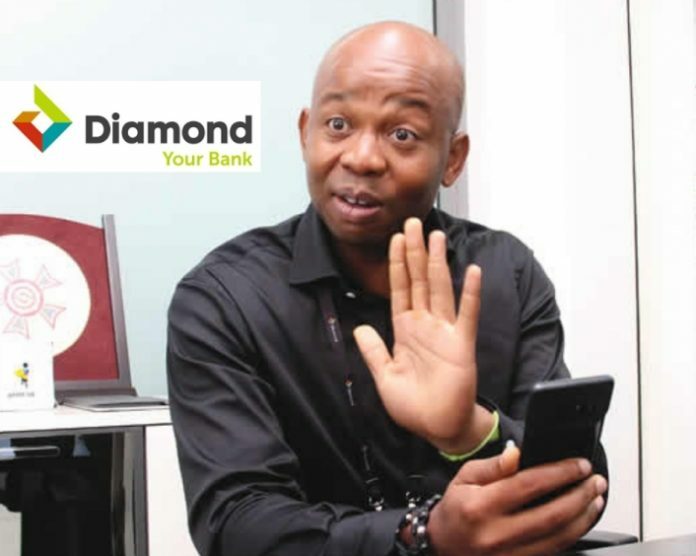 In a recent twist of events, in a bid to continue to keep Diamond bank as one of the leading retail banks in Nigeria, information made available to SecretReporters reveal that Uzoma Dozie neglected other areas of operation of the bank which ought to have kept it afloat, perhaps ignorant of the fact that retail banking alone cannot provide stable deposits as its income level lacks the financial capability to sustain the possible provisional requirements in keeping corporate and business banking afloat. It was also gathered that in a clear act of biting the very fingers that fed him, the inhumane M.D wittingly sacked all the most capable hands that assisted him in arriving at the top of his game. More information reveals that the bank which seems to have shot itself in the leg by accepting the management of Uzoma Dozie who has since brought nothing but calamitous events upon the bank ranging from bad loans to tarnished corporate image most of which are an offshoot of the legacy created by his predecessors. The most significant of all as alleged being the Geometric Power loan which was signed at a whopping N35billion, Lone Star Drilling (owned by late chief Idris) loan at N13.3billion, loan to Peugeot Automobiles Nigeria at N12billion, Robert Dyson and Dikett (owned by the late Sony Odogwu) at N10billion, Foby Engineering at N8billion, Loan seed Ltd (Sunburn Yacht) at N5.6billion, Gitto Construction (owned by the Late Italian Mr Gitto) at N5billion, Harpel Nig Ltd (owned by Late Emma Nwokoro) at N4.8billion, Frajend Motorcycle at N3billion and a loan to Leaders and Company (This day) at N2.5billion amongst others. More shocking findings also revealed that Uzoma Dozie allegedly weakened the board immensely to enable it to be within his controlling capacity thus ensuring that no executive director can challenge his decisions. It was gathered that following disagreement over his leadership style, four (4) board members resigned their positions from the bank. The workers are not left out as they are also known to work in fear of Dozie, who is alleged to rule with iron hands like the biblical Pharaoh. “These directors had challenged Uzoma at their recent board retreat in Uyo for showing up with a private jet. They couldn’t reconcile the MD of a sinking bank flying in a private jet. They insisted that if Uzoma refused to leave, they would resign and that they did”, noted a former staff. However, the straw that broke the camel’s back this online news medium learnt was a loan allegedly collected by Uzoma Dozie from Guarantee Trust Bank and Access bank which was used for a foreign investment, causing him to execute a deed of sale of his Diamond bank shares in favour of Access bank as part of the security for the loan collected. There was also an alleged foreign currency loan originally secured with MTN shares which involved a swap deal that made Diamond bank to approach Access bank with a merger and acquisition proposal which is currently trending on social media. SecretReporters also learnt that his inability to run the bank purportedly made him start selling off the bank’s asset to sway the public into believing that the bank is making profits. With Diamond Bank subsidiaries in the Francophone countries purportedly sold in a deal believed by many to be less than transparent, the next year, Uzoma went further to sell Diamond Bank UK. Furthermore, sources close to the heinous bank MD revealed that constantly refuse to join his staff in visiting big customers insisting that he would rather speak to them via Skype or Facetime while keeping himself busy with other interests like how to contact and date the prettiest girl in a magazine cover page. That same interest was not kept outside the bank, as he also does not place restrictions on his choice for women, be it a single or a married woman as long as the person works for Diamond Bank and is good looking Uzoma will always come for you, alleged Donald Ezenwa, who claimed to be an ex-staff of the bank. Calls placed to the media department of the bank were not answered and was not also returned as at press time.